Why successful men cheat? Here we go. 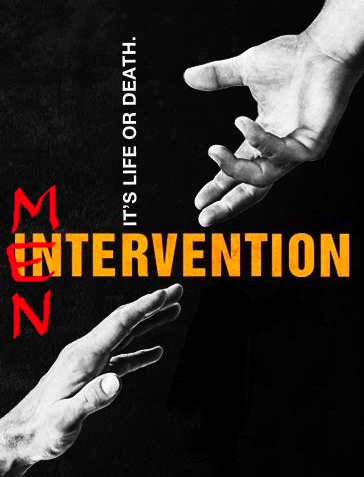 The world is in a state of Mentervention and this one is going to be a doozy. I already know I’ll be elliciting phone calls from Mom and probably my Dad. After the news broke of the Governator’s tryst with his staffer and their secret love child, Rabbi Shmuley Boteach wrote an article entitled, “Why Powerful Men Can’t Keep Their Pants On.” While it divulges plenty of things that, well, aren’t divulgences at all (“Men cheat not out of a sense of entitlement but out of a sense of insecurity”), it offers a view men would benefit from reading. Well that’s great. Because I know women have plenty of insecurities too, but the thing is that most women don’t go out and hump the first man they see because they’re getting more attention/validation from another guy. If anything, you notice women becoming more clingy to the person they’re committed to because they have this sense of insecurity. So why do men thrust themselves into inappropriate trysts? This is going to sound conceited, arrogant, and what not, but the pattern I notice is that the guy is always doing the horizontal hokey pokey with women who don’t compare, in the slightest, to their wife, girlfriend, fiance, what-have-you. Tiger cheated on Elin with countless women, all of which resembled crack babies. Arnold’s mistress? I won’t even go there. I’m not saying that these women should be based solely on their looks. Because we all know skanks can have a herat of gold! Have you seen Pretty Woman? But also, these chicks are gold diggers and usually have nothing going for themselves. They work at bars and clubs, or as a staffer, nanny, whatever. They freeload off the guy and meanwhile, the guy’s accomplished woman is out drumming up a political debate or saving the world. It’s sickening. As a woman, am I supposed to be living in fear? I’m not the person who grew up wanting to hang on another’s coattails. I definitely didn’t aspire to be a wife or a mom. I’m not knocking these things. What I’m saying is I grew up wanting to make a life for myself, not for anyone else. I never thought about the component of bringing in someone else to upgrade my income. I’ve wanted to do it all myself and then find someone to join together with because it was something I wanted, not something I needed. But now that I read that men are insecure about absolutely everything, I’m petrified. How am I supposed to find any man at all when I have bigger-than-life dreams? That I want to do the unimaginable? Have independence yet conjoin with someone I love when the time is right? Am I supposed to lower my standards for myself to make my partner feel good? So that he feels like “the man” and feels like he’s doing better than me because that what gender roles have taught us over the years? That men are more successful than women? Listen. It’s been proven that more women attain college degrees than men these days. I highly suggest if you’re a man living back in the 1970 mindset that you take a second to re-evaluate what you want in a woman and how you find your security in life. Is security for you money? Is it making more money than your friends? Your girlfriend? Your wife? Is it having a family? Is it being #1 all the time? What is security for you? For me, I aspire hope that when I find a man, that he has a strong relationship with God. I can hear some of you scoffing at me for typing that sentence, but I realized that my confidence in past relationships was based on not only the man’s faith, but our faith together. And I also realize now that I am put at peace when I talk to a man who is strong in God. It’s calming, because they are not rocked by wordly issues or transgressions. There is nothing they are shaken up with that cannot be resolved, and they are always resilient; they are openly compassionate and calm. So yeah, I think you can see why those qualities would put any woman at ease. And not just women, but men too. If you find a woman like this, it will help build a relationship instead of going through the motions. If men are insecure about these things, however, how are we expected to find one person to be with, monogomously, for the rest of our lives? I think about this daily. I think about what I see in the media, what I witness at work, and what happened in my family — my biological dad was having an affair on my mother before she decided to get a divorce. It’s hard to not be suspicious of everyone! However, my past few relationships, I have never had any concerns. I’m always the most suspicious after the breakup though, because it seems like they all move on so quickly that it’s impossible they weren’t seeing someone else on the side. But also, I think this article should read like this: Successful men cheat because women let them. I’m not placing the blame on us, because you men should have a shred of a conscience to keep you from doing these things. But ladies, have some dignity, shall we? Grab your morals by the balls and hold on tight. It takes two to do the horizontal tango, so even if the guy is being a douche bag and making a move on you, you don’t have to give in. You don’t have to let him be a pig to his wife or girlfriend. Someone on Twitter once said, “The world would be a better place if men were more loyal and women were less skanky.” Amen. The wise words of Twitter. To wrap things up… guys, get over the insecurity excuse. It’s not an excuse at all, frankly, and nobody pities the man with “insecurities” who cheats.